Pedro Alberys Báez...resides in his native Bani, Dominican Republic during the offseason...is fourth oldest of six siblings (three brothers, two sisters)...growing up, his mother, Idalia, worked in a factory, processing agricultural products for the popular Dominican brand "La Famosa"...his father, Pedro Sr., worked as a baker...originally signed as a non-drafted free agent Jan. 22, 2007 by scout Elvio Jimenez. Finished his fifth Major League season with a 4-3 record and a 2.88 ERA (18 ER /56.1 IP) in 55 relief appearances…struck out 62 batters against 23 walks ... Held the opposition to a .220 average, limiting lefties to a .164 mark (11-for-67)…among NL relievers, his opponents' batting average against left-handed hitters ranked sixth best (min. 200 BFP) ... Had success at home, going 2-2 with a 1.52 ERA (5 ER /29.2 IP) and limiting the opposition to a .194 average at Dodger Stadium… struck out 35 against just 10 walks, while posting a 1.04 WHIP ... Finished the season strong as he allowed just one run over his last 19 outings (19.1 IP) after Aug. 13, posting a 0.47 ERA and holding hitters to a .108 average (7-for-65)…struck out 19 against five walks, while posting a 0.62 WHIP during that time ... Tossed a career-high tying 2.2 innings on May 2 at ARI (last: July 8, 2016 vs. SD) and threw a career-high 42 pitches ... Was a key piece out of the bullpen during the Postseason for the Dodgers, going 1-0 with a 1.59 ERA (2 ER /11.1 IP) in 10 Postseason relief appearances…struck out 14 batters against five walks, while holding batters to a .108 average ... Missed 36 games with biceps tendonitis (June 15-July 25). Went 3-6 with a 2.95 ERA (21 ER/64.0 IP) in a team-leading 66 relief appearances in his fourth Major League season...Held batters to a .225 average, including a .206 mark against left-handed hitters...ranked 14th among NL relievers (min. 100 BFP) in opponents' batting average against lefties...Allowed two of 20 inherited runners to score (10.0%), tied for the seventh-lowest percentage among NL relievers (min. 50.0 IP)...limited batters with runners in scoring position to a .099 average (7-for-66), the third lowest among big league relievers (min. 50 BFP)...Tossed a career-high 18.2 scoreless innings streak from Sept. 6, 2016 to April 25, holding hitters to a .127 average and striking out 23 batters against seven walks during that span...Went 3-1 with a 1.99 ERA and held hitters to a .195 average at home, compared to a 0-5 record with a 3.90 ERA on the road...Missed the first 10 games of the season with a right wrist contusion suffered at the beginning of Spring Training. Ranked second among Dodger relievers with career-high marks in games (73) and innings (74.0) in his second full year in the big leagues...went 3-2 with a 3.04 ERA and tied for ninth in the NL with 23 holds... Limited opponents to a .195 batting average, which ranked 12th in the National League, and was effective against both right-handed (.214, 37-for-173) and left-handed hitters (.160, 15-for-94)...Ranked 12th in the NL with a 1.00 WHIP...Reeled off 15 consecutive scoreless appearances (17.1 IP) from July 1-Aug. 7...had two dominating months: July (14.2 scoreless innings with a .064 opponents' average (3-for-47) and September/October (11.2 scoreless IP/15 SO)...Was sent to Double-A Tulsa Aug. 30-Sept. 6, but did not pitch for the Drillers...Tossed scoreless relief in five of seven postseason appearances, allowing six runs (two earned) in 7.0 innings. In his first year pitching, went 3-3 with two saves and a 3.88 ERA in 48 combined relief appearances with Single-A Rancho Cucamonga and Double-A Chattanooga. Averaged nearly a strikeout per inning with 55 Ks in 58.0 innings. Opened the season at Rancho Cucamonga, making 32 appearances, before his July 10 promotion to Chattanooga. Combined to limit right-handed hitters to a .250 batting average (39-for-156). Following the season, pitched for the Glendale Desert Dogs in the Arizona Fall League, tossing 4.1 scoreless innings in four appearances…limited opponents to a .188 batting average with six strikeouts. Combined to hit .221 with 11 home runs and 59 RBI in 128 games with Rancho Cucamonga and Chattanooga. Opened the season with the Lookouts before he was transferred to Rancho on July 11. Selected as a midseason Southern League All-Star, starting the game at third base for the North Division All-Stars and going 1-for-4 with a run scored. Rated by Baseball America as the Dodgers' best minor league defensive infielder and as having the system's best infield arm. Appeared in 32 games with Double-A Chattanooga, batting .210 with 12 doubles, two homers and 15 RBI. Batted .292 with runners in scoring position (7-for-24) and hit .370 against left-handed pitchers (10-for-27). Entered the 2011 season ranked as the Dodgers' 22nd-best prospect by Baseball America. Hit a combined .263 with six homers and 45 RBI in 84 games with the Rookie-level AZL Dodgers, Single-A Inland Empire and Chattanooga. Spent the majority of the campaign with Inland Empire, while going 0-for-7 during a rehab stint with the AZL. Dodgers and batting .385 (10-for-26) in the season's final seven games with the Lookouts. Excelled against left-handed pitching with Inland Empire, hitting .348 (32-for-92) with a .368 on-base percentage. Selected to his second consecutive XM All-Star Futures Game. Had his best season as a pro, hitting .286 with 17 doubles, 10 homers and 61 RBI in 79 games with Single-A Inland Empire. 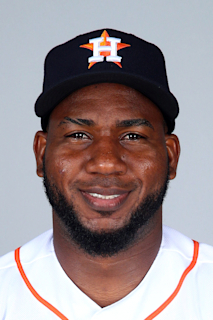 Selected to the World Team at the 2009 XM All-Star Futures Game in St. Louis…batted .293 (65-for-222) with nine homers and 44 RBI in 57 games before the All-Star break. Batted .300 (67-for-223) against right-handed pitching. Entered the season as the Dodgers No. 13 prospect according to Baseball America...also entered the season rated as having the organization's Best Infield Arm according to Baseball America. Combined to hit .229 with 30 doubles, 13 home runs and 66 RBI in 120 games with Rookie-advanced Ogden and Single-A Great Lakes. Led Ogden with 12 home runs (tied for sixth in the Pioneer League) and 50 RBI (sixth in the league). Following the season, was named by Baseball America as the 11th-best prospect in the Pioneer League. Appeared in 53 games with the Rookie-level GCL Dodgers in his first professional season. Ranked second in the Gulf Coast League with 39 RBI. Rated as the club's 10th-best prospect and as having the Best Infield Arm in the Dodger organization…also tabbed as the sixth-best prospect in the Gulf Coast League by Baseball America. July 25, 2018 Los Angeles Dodgers activated RHP Pedro Baez from the 10-day injured list. July 23, 2018 Los Angeles Dodgers sent RHP Pedro Baez on a rehab assignment to Tulsa Drillers. July 17, 2018 Los Angeles Dodgers sent RHP Pedro Baez on a rehab assignment to Oklahoma City Dodgers. June 15, 2018 Los Angeles Dodgers placed RHP Pedro Baez on the 10-day disabled list retroactive to June 13, 2018. Right biceps tendinitis. June 7, 2018 Los Angeles Dodgers recalled RHP Pedro Baez from Oklahoma City Dodgers. June 6, 2018 Los Angeles Dodgers optioned RHP Pedro Baez to Oklahoma City Dodgers. November 2, 2017 Pedro Baez roster status changed by Los Angeles Dodgers. October 14, 2017 Los Angeles Dodgers reassigned RHP Pedro Baez to the minor leagues. April 14, 2017 Los Angeles Dodgers activated RHP Pedro Baez from the 10-day disabled list. April 7, 2017 Los Angeles Dodgers sent RHP Pedro Baez on a rehab assignment to Oklahoma City Dodgers. April 2, 2017 Los Angeles Dodgers placed RHP Pedro Baez on the 10-day disabled list retroactive to March 30, 2017. Right wrist contusion. September 6, 2016 Los Angeles Dodgers recalled RHP Pedro Baez from Tulsa Drillers. August 30, 2016 Los Angeles Dodgers optioned RHP Pedro Baez to Tulsa Drillers. June 26, 2015 Pedro Baez roster status changed by Los Angeles Dodgers. June 19, 2015 Los Angeles Dodgers sent RHP Pedro Baez on a rehab assignment to Oklahoma City Dodgers. August 15, 2014 Los Angeles Dodgers recalled RHP Pedro Baez from Albuquerque Isotopes. August 11, 2014 Los Angeles Dodgers optioned RHP Pedro Baez to Albuquerque Isotopes. August 5, 2014 Los Angeles Dodgers recalled Pedro Baez from Albuquerque Isotopes. July 14, 2014 Los Angeles Dodgers optioned RHP Pedro Baez to Albuquerque Isotopes. July 8, 2014 Los Angeles Dodgers recalled Pedro Baez from Albuquerque Isotopes. May 25, 2014 RHP Pedro Baez assigned to Albuquerque Isotopes from Chattanooga Lookouts. May 6, 2014 Los Angeles Dodgers optioned RHP Pedro Baez to Chattanooga Lookouts. May 5, 2014 Los Angeles Dodgers recalled Pedro Baez from Chattanooga Lookouts. March 4, 2014 Los Angeles Dodgers optioned RHP Pedro Baez to Chattanooga Lookouts. November 20, 2013 Los Angeles Dodgers selected the contract of Pedro Baez from Chattanooga Lookouts. October 5, 2013 RHP Pedro Baez assigned to Glendale Desert Dogs. July 10, 2013 Pedro Baez assigned to Chattanooga Lookouts from Rancho Cucamonga Quakes. July 8, 2013 Pedro Baez roster status changed by Rancho Cucamonga Quakes. June 30, 2013 Rancho Cucamonga Quakes placed RHP Pedro Baez on the 7-day disabled list. March 28, 2013 RHP Pedro Baez assigned to Rancho Cucamonga Quakes from Albuquerque Isotopes. March 6, 2013 RHP Pedro Baez assigned to Los Angeles Dodgers. September 7, 2012 3B Pedro Baez assigned to Albuquerque Isotopes from Rancho Cucamonga Quakes. July 11, 2012 Pedro Baez assigned to Rancho Cucamonga Quakes from Chattanooga Lookouts. March 23, 2012 3B Pedro Baez assigned to Los Angeles Dodgers. September 30, 2011 Pedro Baez roster status changed by Chattanooga Lookouts. May 13, 2011 Chattanooga Lookouts placed 3B Pedro Baez on the 7-day disabled list. February 26, 2011 3B Pedro Baez assigned to Los Angeles Dodgers. November 18, 2010 3B Pedro Baez assigned to Tigres del Licey. August 31, 2010 3B Pedro Baez assigned to Chattanooga Lookouts from Inland Empire 66ers. June 24, 2010 Pedro Baez roster status changed by Inland Empire 66ers. June 21, 2010 Inland Empire 66ers sent 3B Pedro Baez on a rehab assignment to AZL Dodgers. May 11, 2010 Inland Empire 66ers placed 3B Pedro Baez on the 7-day disabled list. Strained left shoulder. March 10, 2010 3B Pedro Baez assigned to Los Angeles Dodgers. October 1, 2009 Inland Empire 66ers activated 3B Pedro Baez from the 7-day disabled list. July 21, 2009 Inland Empire 66ers placed 3B Pedro Baez on the 7-day disabled list. April 30, 2009 3B Pedro Baez assigned to Inland Empire 66ers from Ogden Raptors. April 21, 2009 Pedro Baez assigned to Ogden Raptors from Inland Empire 66ers. January 22, 2007 Los Angeles Dodgers signed free agent 3B Pedro Baez to a minor league contract.